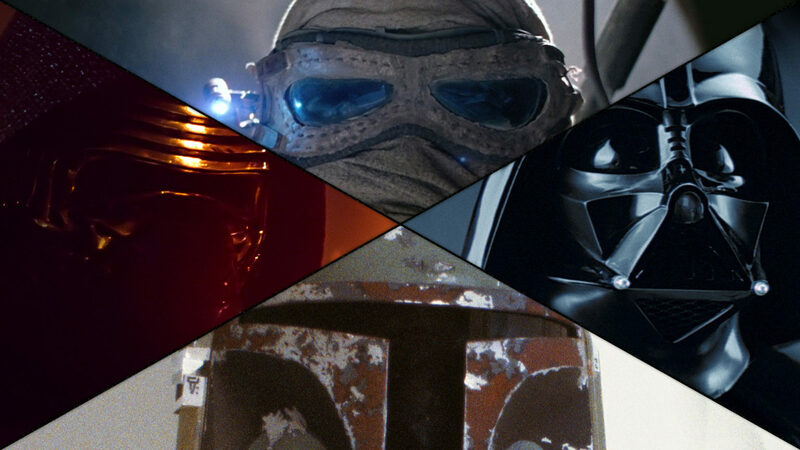 From a Certain Point of View: What is the Best Mask or Helmet in Star Wars? In the spirit of Halloween, two StarWars.com writers debate which mask or helmet is the galaxy's greatest. One of the great things about Star Wars is that it inspires endless debates and opinions on a wide array of topics. Best bounty hunter? Most powerful Jedi? Does Salacious Crumb have the best haircut in the saga? 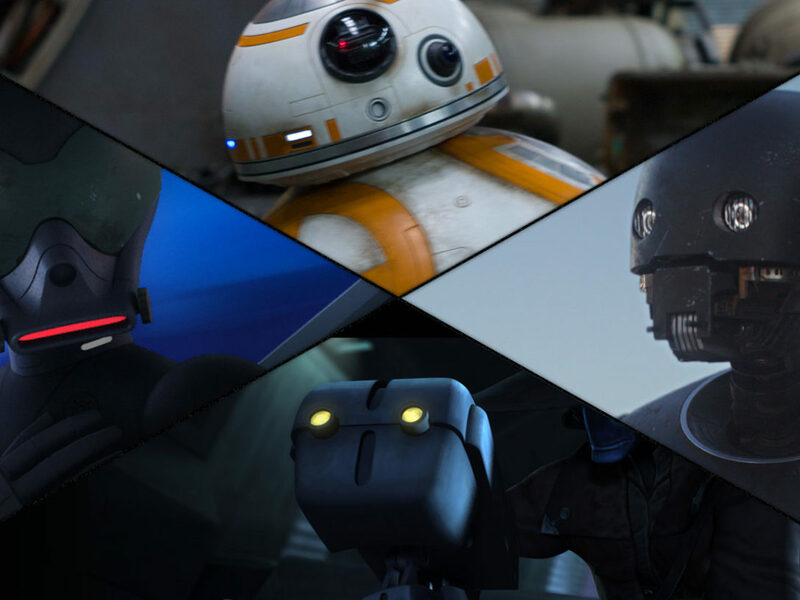 In that spirit, StarWars.com presents From a Certain Point of View: a series of point-counterpoints on some of the biggest — and most fun — Star Wars issues. In this installment, two StarWars.com writers discuss which in-universe mask or helmet is greatest. Boba Fett’s helmet is best, says Michael. Let’s be honest about something: Star Wars fans have it gooooooood these days. Seriously. See, I’m old enough to remember a time when there were no cartoon series. No prequels. No anthology movies. We had the sacred trilogy, and that was about it. So, when Obi-Wan talked about something like fighting in the Clone Wars with Luke’s dad, we had no clue what the Clone Wars were. Heck, if you’re old enough, there was even a pre-Empire Strikes Back window of time where you didn’t even know who Luke’s dad was. Believe me, these were wild times. 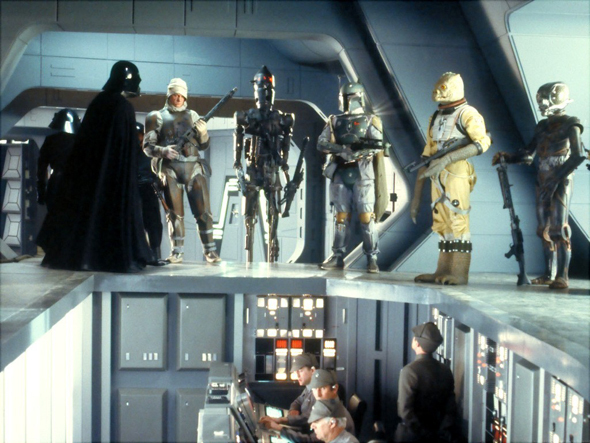 The bounty hunter scene in Empire Strikes Back. I’ll never forget watching this and feeling my mind get blown right out of my ear when the camera pans up from the Imperial control panel and you see Bossk standing there, looking gnarly and awesome. My imagination was racing — I immediately had to know who this guy was, what he did, and where he came from. 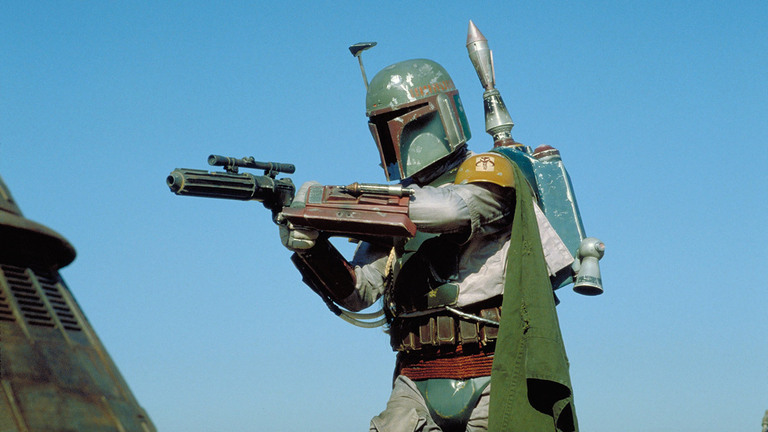 It’s no coincidence that Boba Fett has endured as one of the most popular characters in Star Wars canon. In fact, if you were going per capita by screen time, Boba Fett would probably win the popularity crown. There’s just something about him that captures the perfect balance of being mysterious but not so mysterious that it distracts from how great he looks. The mask is where Boba Fett’s magic resides. I’ve spoken to friends who work in design about Boba Fett’s mask, and they agree that, on a purely aesthetic level, the symmetry and color mixture play no small role in how visually appealing Boba Fett’s headgear is. But that mask, to me, is more than just a delectable morsel of visual delight. 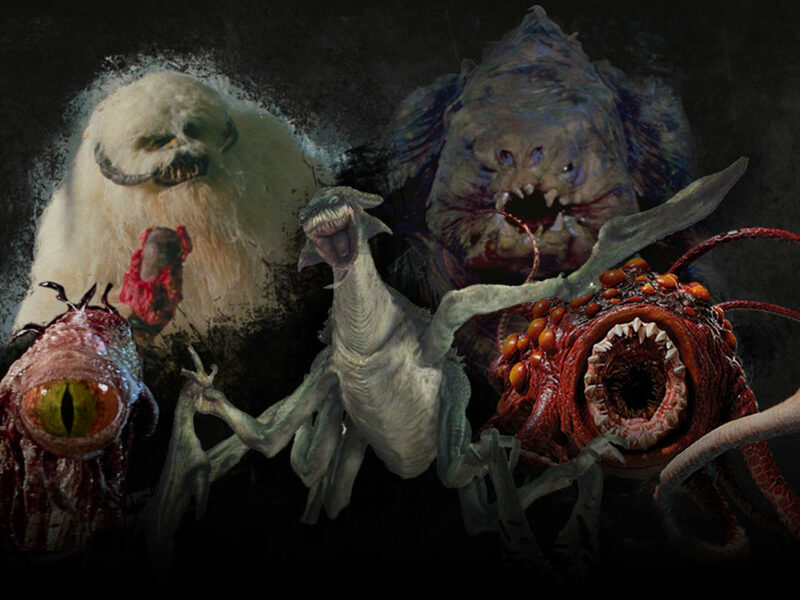 After all, there’s no shortage of characters running around the Star Wars universe with their heads covered. Darth Vader? He has some serious masking going on. As does Kylo Ren. 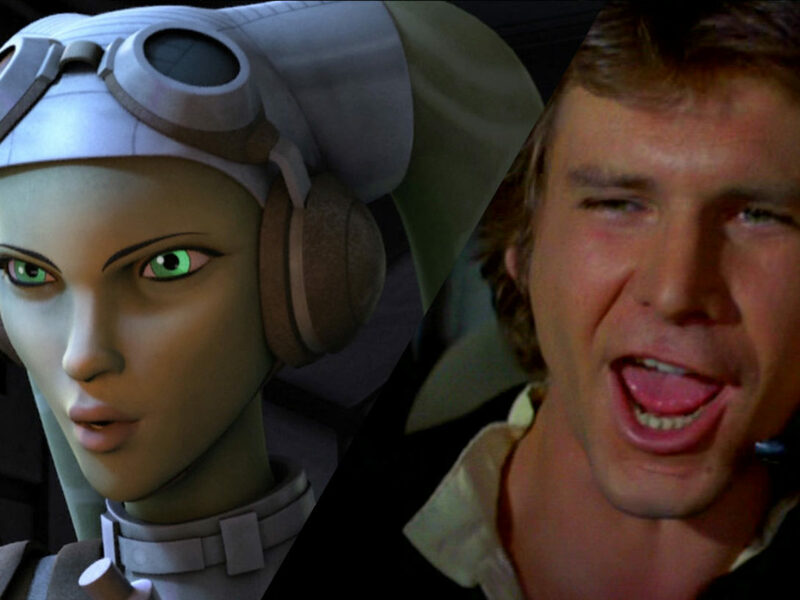 Even Leia wore that awesome mask when she infiltrated Jabba’s palace at the beginning of Return of the Jedi. But if you’re looking at masks, and you want to go beyond the visual level, you have to go the story it tells. And, to me, no mask tells a more fascinating story than the one Boba Fett wears. When I first saw Boba Fett’s mask, I had questions. Lots of questions. Some more obvious, like, Who is this guy? Where is he from? But the more and more I watched the movie, the scope of my curiosity started to broaden. 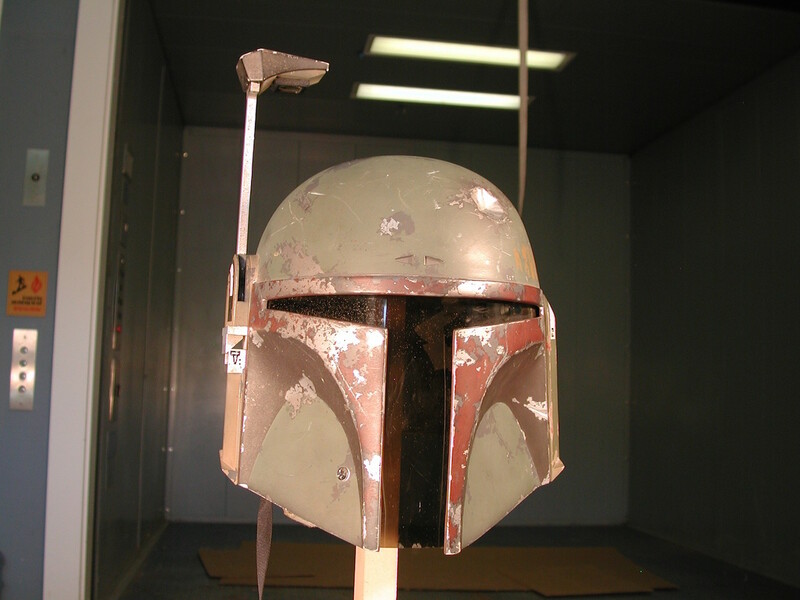 I wanted to know how Boba Fett’s mask got all scuffed up. How’d it get dented? What was with the antenna poking out of the right side? Who was he communicating with? Were the more out there like him? And, getting back to the mask’s design, I was fascinated by the T-shaped opening that was Boba Fett’s portal to the outside world; I so wanted to know what the world looked like through Boba Fett’s eyes that I made my own Boba Fett mask when I was kid, using notebook paper, crayons, and string. That, to me, that is what the best masks do — they make you want to be inside of them. I wanted to be an awesome-looking bounty hunter who got the upper hand on the galaxy’s best smuggler. I wanted to be Boba Fett. As luck would have it, the questions about Boba Fett that captured my imagination also captured the imaginations of many others. Because of that, we’ve since been introduced to the vast world of Mandalore and the many stories, and characters, it contains — all because of how cool this bounty hunter looked. The TIE fighter pilot helmet is best, says Dana. Don’t worry — when I got older I quickly caught up, blazing through Episodes IV through VI faster than the Millennium Falcon…that ship that I just learned even existed. It’s no surprise that I skewed toward the dark side on the Star Wars fandom scale. The villains always got my vote over the heroes because they’re just so darn fascinating. What makes them evil? Why do they blindly follow? No character of the saga makes me ponder these questions more than the Imperial soldiers, and my favorites just happen to be the TIE fighter pilots. The fact that we’re so close to my favorite holiday might be affecting my judgement a bit, but when asked what’s the best mask or helmet in Star Wars, I immediately turn to the most chill-provoking choice. TIE pilots are mysterious, always on a mission, and their cool factor is off the charts for me. We don’t know their story. We barely ever hear them speak. And if that mystery alone created millions of Boba Fett fans in the ’80s and makes him a top contender for this debate, i’d like to throw the TIE pilot helmet into the ring as well. You may be thinking, “Hey, Dana, isn’t the TIE pilot helmet essentially just a stormtrooper helmet painted black?” Well, sort of. But there’s much more to it! First, let’s look at it on an aesthetic level. What makes the TIE pilot helmet so intriguing to me is the black on black visor and helmet combo. I remember seeing my first stormtrooper and loving the ghost-like face that seemed to frown at me in disapproval. But unlike the stark white trooper, seeing the TIE pilots storm through the Death Star corridors created a much more foreboding feeling. When the two lucky pilots in A New Hope swiftly accompanied Vader to their TIEs, we got our first look at the Imperial pilot outside the cockpit. The way Vader commands the two black figures as if they’re mere tools rather than actual human beings is such a powerful addition to the scene. I love this moment, and the quick view of the pilots from behind calls to the original Ralph McQuarrie concept art in the way TIE fighter pilots were originally intended to be seen. There are a couple major differences between the stormtrooper helmet and the TIE pilot that makes the latter just a bit cooler for me. First, the use of the Imperial insignia. The TIE pilot helmets blatantly represent the Empire showing the silver double cogs at the top. Second, and my favorite aspect of the TIE pilot, lies in those glorious tubes that protrude from the helmet’s bottom. The tubes are technically gas transfer hoses, and their connection to the life support pack on the pilot’s chest assures easy breathing in any atmosphere. There’s something creepy about the helmet that evokes an unsettling connection to gas masks used during times of warfare in the real world. The image of a gas mask is always tied to a dangerous scenario, making the TIE pilot helmets particularly strong at triggering an emotional response. In my opinion, this response is paramount in creating a successful (and to me, wonderfully frightening) mask. The TIE pilots of the original trilogy were plenty cool enough for me, but when I caught my first glimpse of a First Order TIE pilot in The Force Awakens I let out an audible, “Whoa.” The TIE fighter interior shots in the most recent film were beautiful. Much clearer and we could make out more of the helmet and the pilot’s surroundings than we originally could in A New Hope. 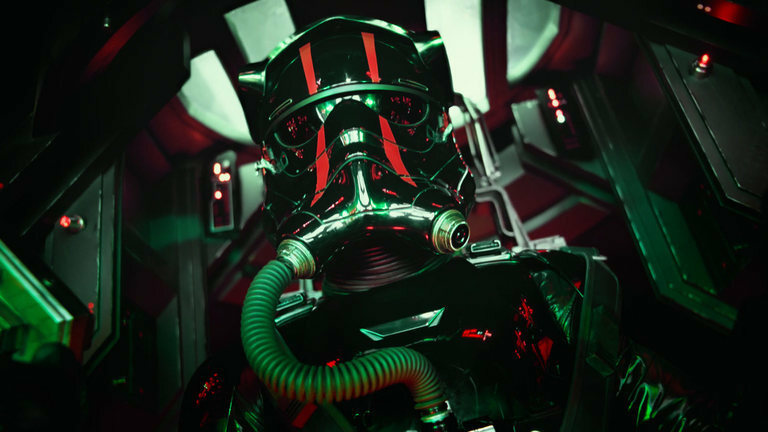 There’s also just something about those two Special Forces red stripes across the pilot’s face paired with the splashes of red reflecting on the uniform that really upped the ante for me as far as cool helmets go. Maybe it’s the mind’s natural tendency to associate red with danger, excitement, and our fight-or-flight response, or maybe it’s just bringing back my undying love for Darth Maul. The objective of a TIE fighter pilot is simple: risk your life for the good of the Empire no matter the consequences. Crammed into an aircraft designed for disposability, TIE pilots going into battle face an imminent death. That idea alone makes the anonymous soldier behind the mask even more interesting to me. Since all Imperials decide to enlist on their own volition, what would make a sane person sign up for that? Read Claudia Gray’s Lost Stars for a compelling peek into the lives of Imperial pilots. You’ll learn that although they may have been bright-eyed and hopeful when they entered the Academy, this wasn’t always the case toward the end of the Empire’s reign. Keeping up your enthusiasm was challenging, but they’d already devoted themselves to the cause. With this in mind, the quick glimpses we see of the TIE pilot maneuvering his controls with only a faint glint of light off his shadowy helmet mean so much more. It adds to their tragic mystery, and while Boba Fett certainly had that appeal in The Empire Strikes Back, one could argue that he lost that novelty after the prequels and The Clone Wars series. 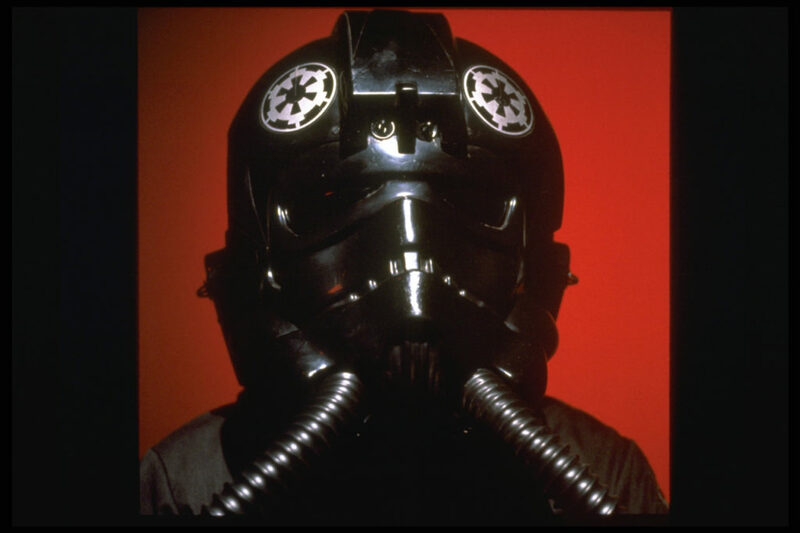 The anonymity behind the TIE fighter pilot helmet will always conceal the wearer’s full story, and that in my opinion makes it truly timeless and, ultimately, a really, really cool mask. Michael Moreci is a comics writer and novelist best known for his sci-fi trilogy Roche Limit. He’s also a Star Wars obsessive, who is lucky to spend his time playing Star Wars action figures with his two sons by day and writing Star Wars-inspired stories by night. Follow him on Twitter @MichaelMoreci. Dana Jennings is Lucasfilm’s senior content coordinator for StarWars.com. You may remember her from such polls and quizzes as, “Who Wore it Best?” and “Which Star Wars Character Should You Invite for the Holidays?” When not acting as chairman of the Nien Nunb Appreciation Society, she can be found working hard to make sure StarWars.com stays fully operational or dressing up as Crocker the cantina alien. Follow her on Instagram and Twitter for all these things and more! 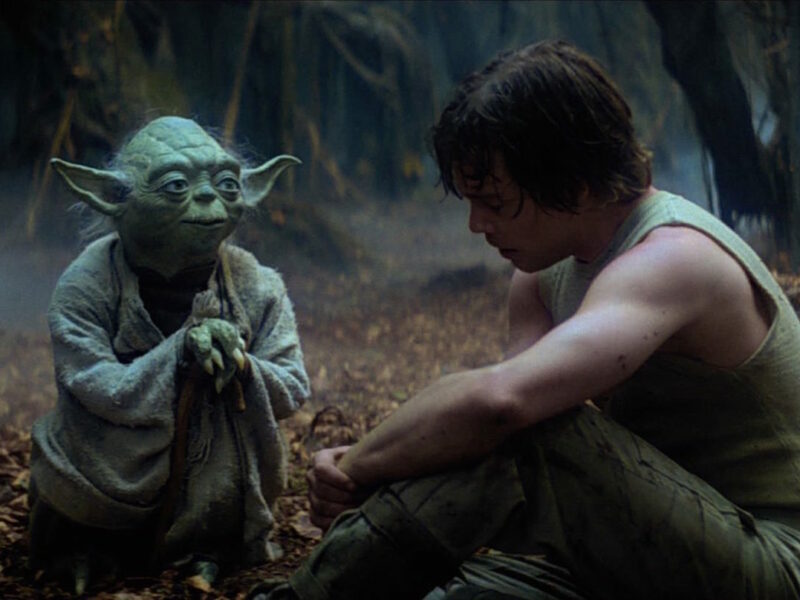 From a Certain Point of View: What is the Best Star Wars Quote?